New Year’s Resolution: make 2018 your best bike riding year ever! After all the presents are opened and the last of the cookies disappear many of us turn our attention to the year ahead. More specifically, many of us begin the annual task of developing new year’s resolutions for ourselves. This year, why not resolve to make this year your best year of bike riding ever! For most of us, the season doesn’t begin in earnest until April 1st. Coincidentally, April 1st is also the first day of the 30 days of biking pledge. Therefore, why not take the next three months to get ready for April’s goal of 30 days of riding! 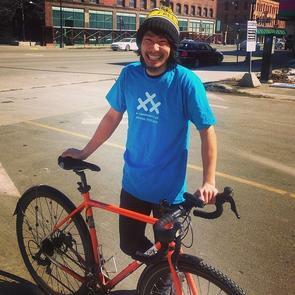 A happy rider having completed his 30 days of biking! It’s been proven countless times in history – the mind drives the body! I find a great way to get my mind ready for a goal is to share that goal with others. For me, once I tell others about my goal, I am making a deal with myself that it is a real thing. Once your goal is real, begin clearing your schedule for it. Make a training plan now. Your plan can be as simple as committing to ride two times a week or as detailed as planning the mileage, date, and time. Just be sure that plan matches with your goal (example: riding for only one hour a week wouldn’t give you the fitness you need to ride two hours a day through April). Minnesota is currently locked in a winter freeze, so conditions may not coincide with your availability to ride outdoors. But keeping yourself physically active is paramount for this time of year and it’s especially crucial for your training. You can go snowshoeing, running, swimming, cross country skiing, indoor riding (on a trainer), take spin classes, or anything that raises your heartbeat. Indoor rides can be fun with the right group. To ensure you have on-bike fitness there is no better indoor exercise than riding a bike trainer. 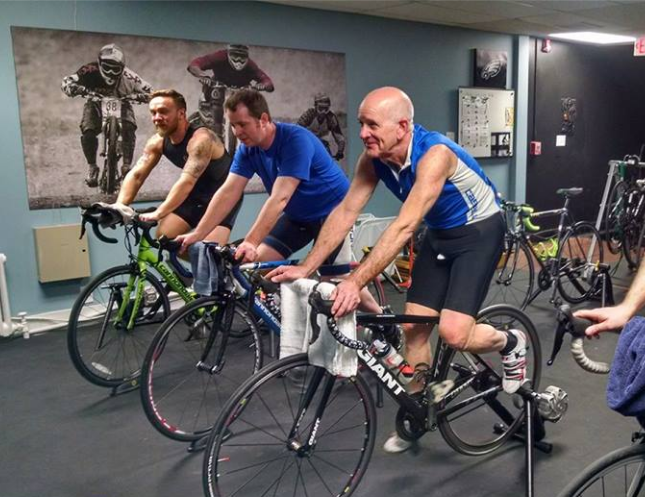 There are spin gyms, training centers and bike shops that run classes a few times a week. Look into what programs are available and you will stick to in your community. Most people don’t have time to do the things they need to do (like that home project you swore you would finish last summer). So how do you fit in time to train? 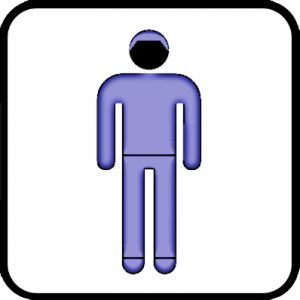 To start, try not to add too much separate riding time to your schedule. Instead, commute to work by bike. Drive part of the way and ride the rest. A normal 30 minute drive could turn into a 15 minute drive and the rest on your bike with a little planning. That way, you only add a 15 to 20 minutes to your schedule and still get a ride in. Do it in the morning and the evening and you bought an hour of riding while only adding up to 40 minutes to your daily schedule. I find that I make a trips to the grocery store for a handful of items a few times a week. 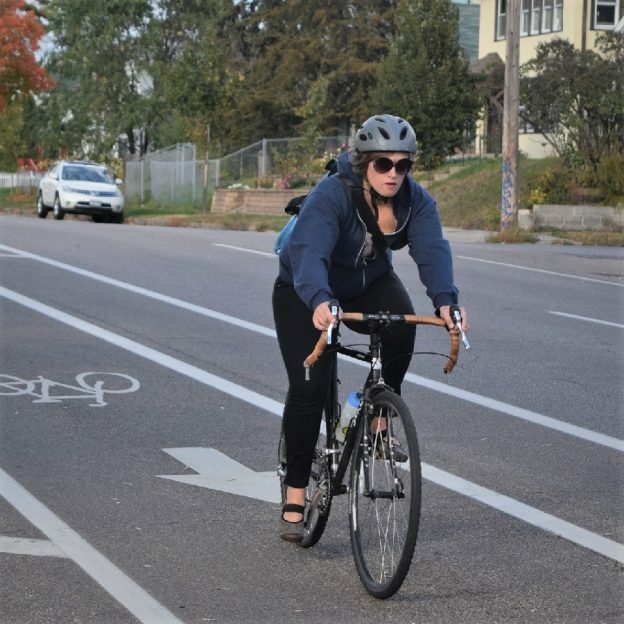 Try to ride your bike to the grocery store, rather than drive once a week. Also, try adding a ride to your normal downtime. If you have an indoor trainer, ride for one hour a night while watching TV rather than sitting on the couch. It may seem counter-intuitive, but being active is a great way to wind down from a busy day. You will find you sleep better and generally feel more relaxed. Bring your bike out of hibernation and put air in the tires. Take it for a spin around the block and check to see if it’s functioning properly. April 1st is smack dab in the middle of when many people begin to think about riding their bike. If you wait until the last minute to drop your bike off for service, chances are, you will be waiting longer than you like for you bicycle. Click the (link) here to read about some of the benefits of servicing your bike in the winter. 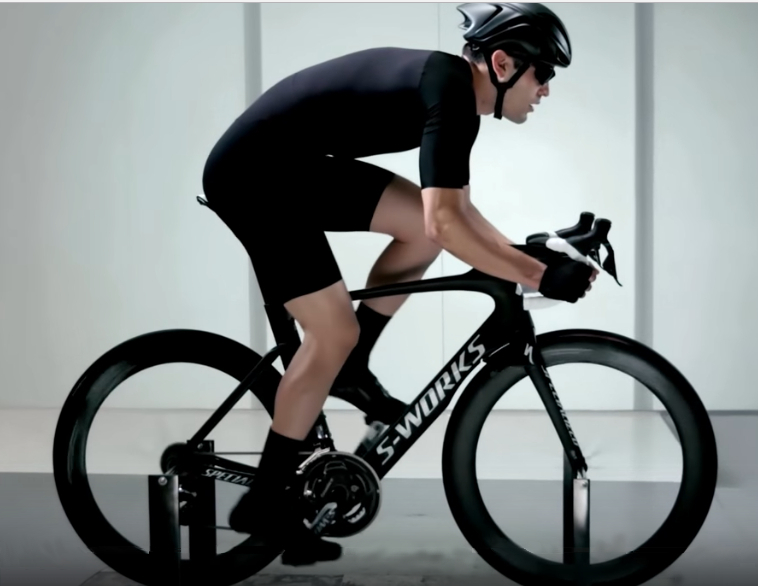 This rider is looking for speed, but a good bike fit can benefit any rider! If you bring your bike in for service, think about making sure your bike fits you properly. A professional bike fit will lower the chance of repetitive motion injuries and make you more comfortable and efficient. While you’re having your bike serviced and fit you can also find the right clothing and accessories for the year ahead. The weather in April can be a mixed bag, so make sure your clothing options include something to keep you comfortable in the sun,rain, snow, wind, or cold. The longest journey begins with a single step and that step should be taken on January 1st. Making the time to ride or exercise on new year’s is easy considering most of us are off of work. Getting started right away is a huge moral booster, for the goal of having your best year of bike riding ever! This entry was posted in News and tagged #30 days of biking, Bike commuting, bike fit, bike riding, Have Fun Biking, multi modal bike ride, new years bike resolution, new years resolution, spin classes, spring biking, Spring Riding, summer biking, Winter Biking, winter fitness, winter riding on December 26, 2017 by John Brown. Bike Pic May 23, Get Out and Soak Up the Spring Fun While You Can! There may be a few more rain showers scattered over afternoon today. So get out and soak up the spring fun while you can! 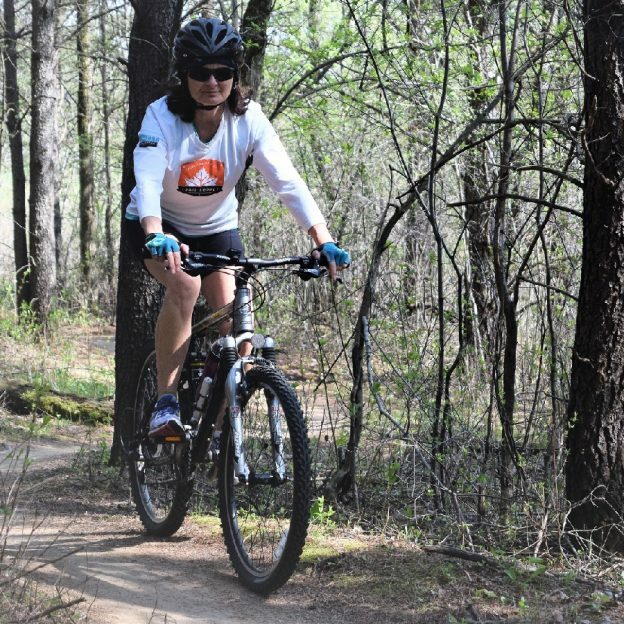 Also, view the new spring Minnesota Bike/Hike Guide. 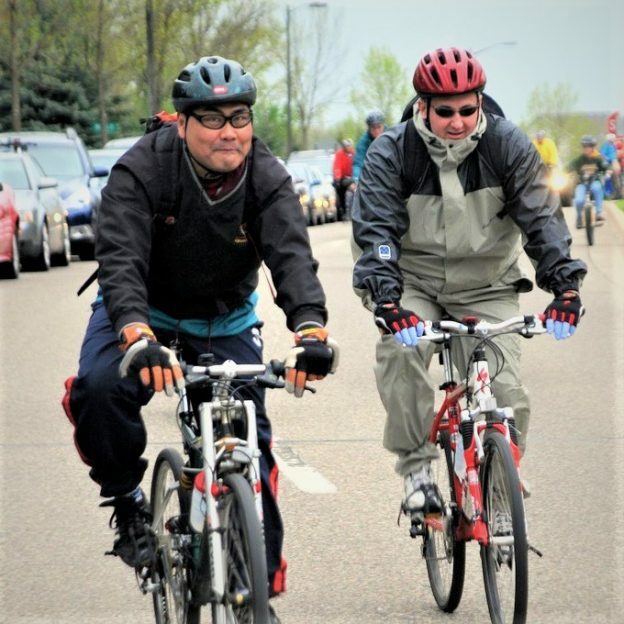 This entry was posted in News and tagged #nextbikeadventure, bike in rain, Bike Rally, Minnesota bike event, Minnesota Ironman Bicycle Ride, Minnesota Tough, recreational riding, Spring Riding, Waconia MN on May 23, 2017 by Russ Lowthian. Today’s weather is similar to that of April 30, Ironman Sunday where this photo was taken out near Waconia, MN. 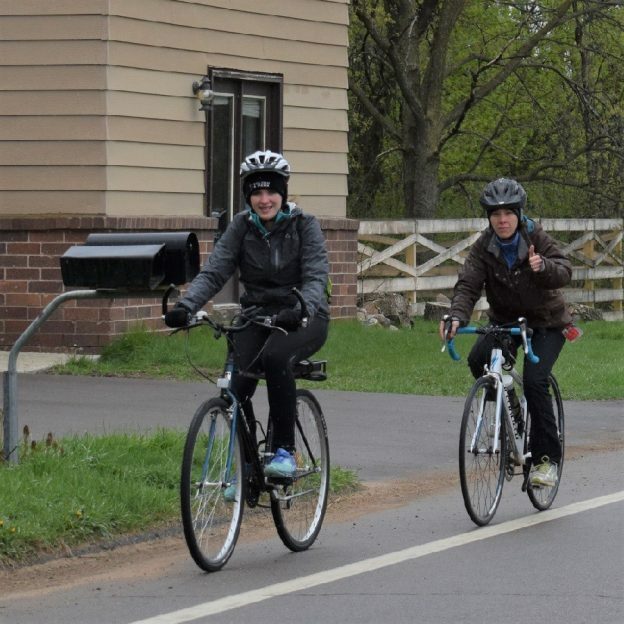 These biker chicks are Minnesota tough and having fun riding in the rain. Also, view the new Minnesota Bike/Hike Guide for your #nextbikeadventure. 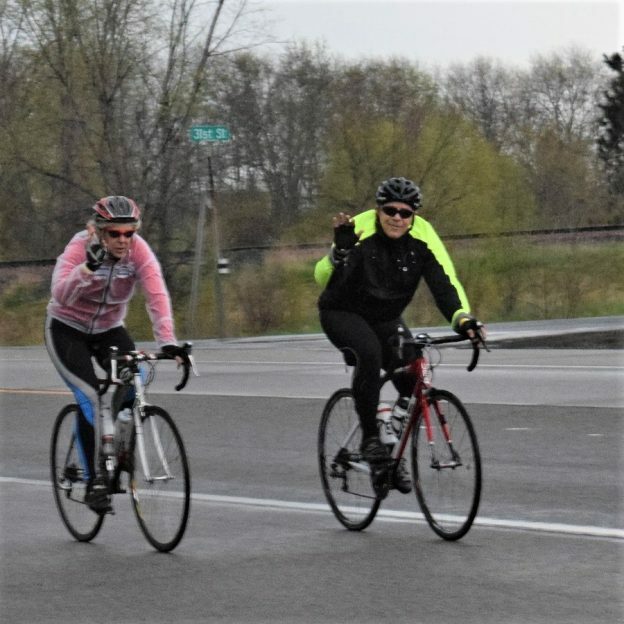 This entry was posted in News and tagged #nextbikeadventure, bike in rain, Bike Rally, Biker chicks, Minnesota bike event, Minnesota Ironman Bicycle Ride, Minnesota Tough, recreational riding, Spring Riding, Waconia MN on May 20, 2017 by Russ Lowthian. Its mountain bike Friday and time to kick it up a notch before the next wave of rain rolls in. 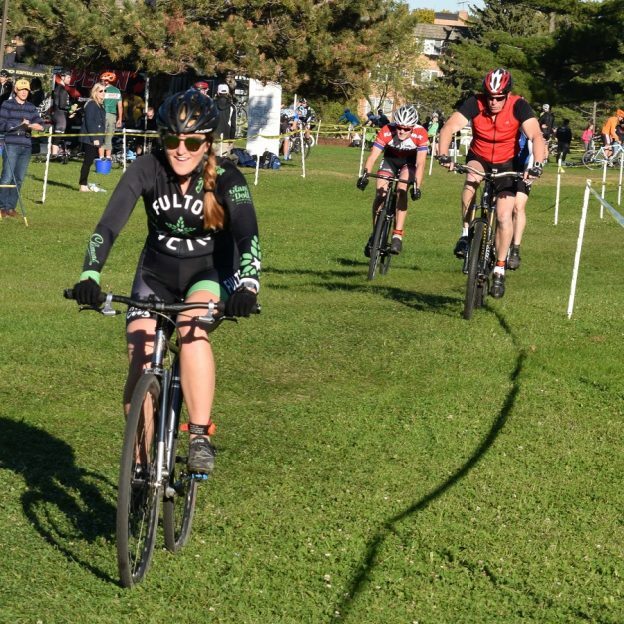 So join the fun, then before the end of the day consider signing-up for the 3-day weekend Root River Bluff& Valley Bike Ride, in Southeast Minnesota. The tour is July 7 – 9 and registration closes tonight so we can order the ride jerseys. They are Included in the tour package registrations at: Root River Bluff & Valley Bicycle Tour. Check it out! This entry was posted in Uncategorized and tagged #nextbikeadventure, bike, Bike Rally, Bluff & Valley Bike Tour, Lebanon Park. Lakeville MN, Minnesota mountain biking, Mountain Biking, recreational riding, Spring bike ride, Spring Riding, warm weather bike ride on May 19, 2017 by Russ Lowthian. However you ride, in a race, taking a spin around the block or riding home from work, it is Friday here in Minnesota and time for a cold one! 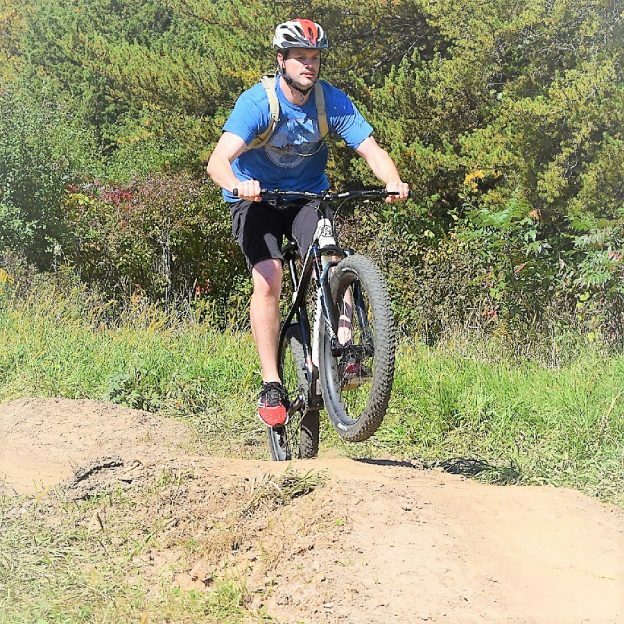 This entry was posted in News and tagged #nextbikeadventure, bike, Bike and beer, bike touring, biker chick, cross bike, Fulton Beer, mountain bike, recreational riding, Road Biking Minnesota, Spring bike ride, Spring Riding, warm weather bike ride on May 12, 2017 by Russ Lowthian. 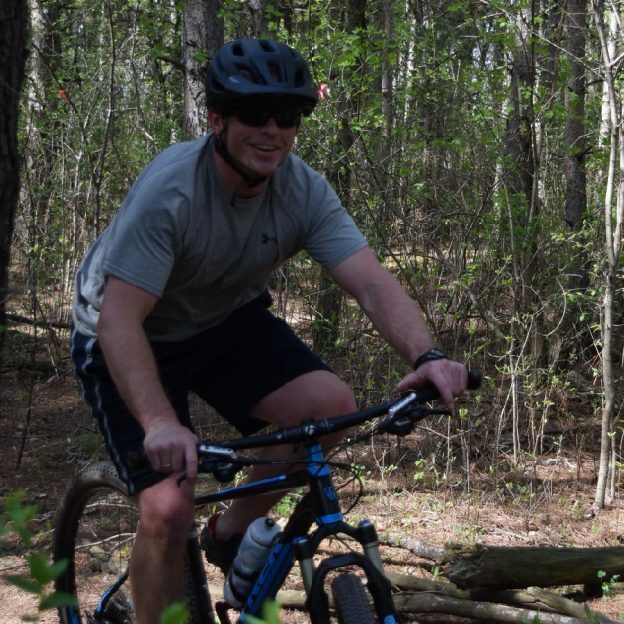 As the spring temps continue to warm with the sun, its time to get your mountain bike out and make a few rounds on your favorite trail. This entry was posted in News and tagged #nextbikeadventure, biker chick, Crank Sisters, Lebanon Park. Lakeville MN, Minnesota mountain biking, Mountain Biking, recreational riding, Spring bike ride, Spring Riding, warm weather bike ride on May 11, 2017 by Russ Lowthian. A beautiful spring ride, this Minnesota bike commuter is ready with rain gear in her bag if the afternoon rain that is predicted, rolls in. This entry was posted in News and tagged #nextbikeadventure, all weather bike rider, bike, Bike to work, bike touring, Rain Gear, Road Biking Minnesota, Spring bike ride, Spring Riding on May 10, 2017 by Russ Lowthian. 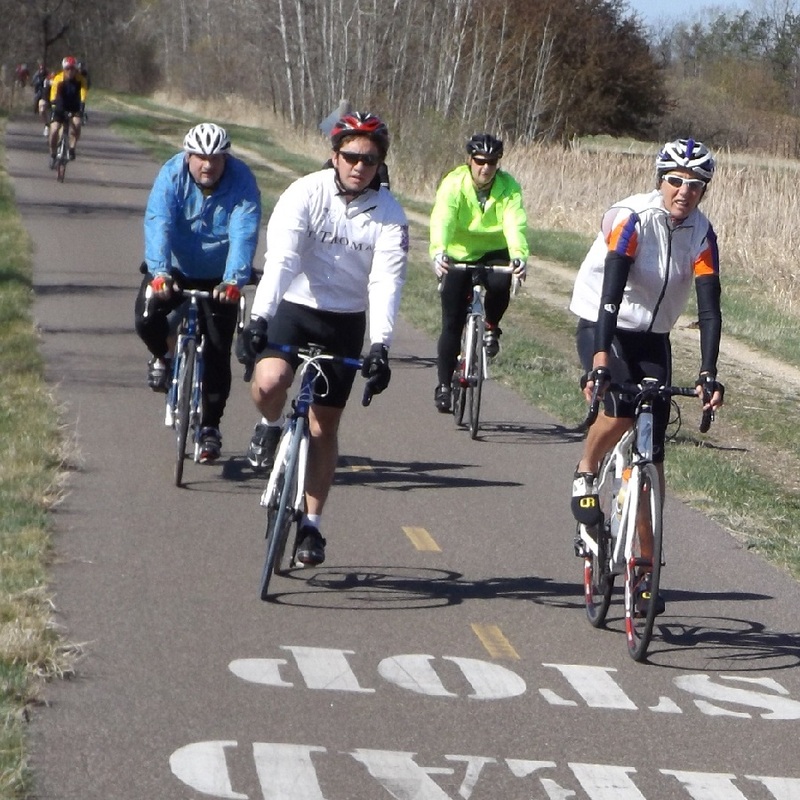 Another picture perfect May day in Minnesota, so pedal hard, no matter the road or trail and what kind of bike you are riding. 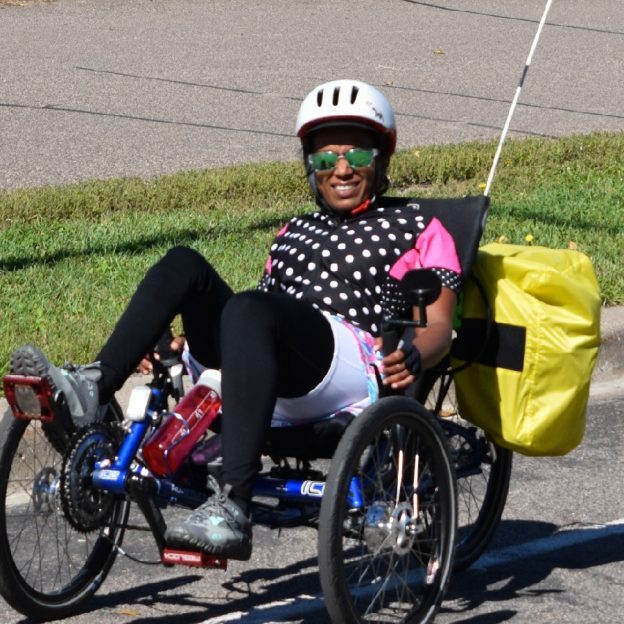 This HaveFunBiking Pic was shot at the Minnesota Bicycle Ride, in Washington County, near Stillwater in 2015. 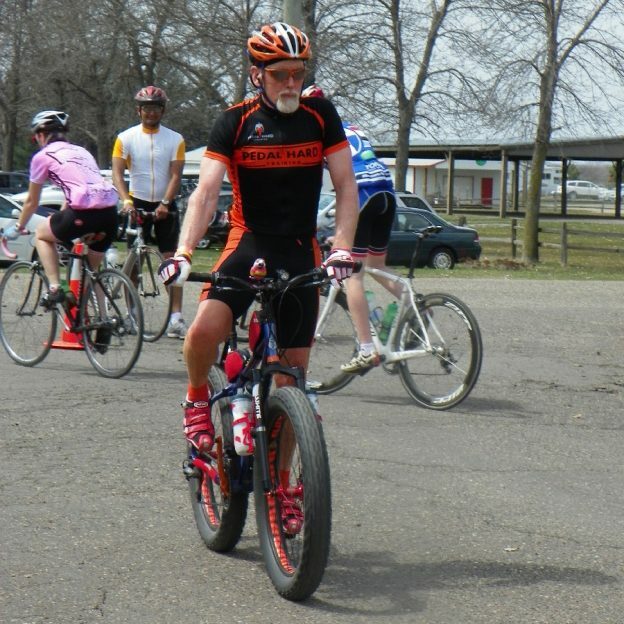 This entry was posted in News and tagged #nextbikeadventure, bike, Bike Rally, bike touring, fat tire bike, Major Taylor, Minnesota Ironman Bicycle Ride, mountain bike, recreational riding, Road Biking Minnesota, Spring bike ride, Spring Riding, Stillwater MN, warm weather bike ride on May 6, 2017 by Russ Lowthian. A picture perfect Friday, with the weather near 70 degrees in Minnesota, it time to get out and check out your favorite trail. This entry was posted in News and tagged #nextbikeadventure, bike, Bike Rally, Lebanon Park. Lakeville MN, Minnesota mountain biking, Mountain Biking, recreational riding, Spring bike ride, Spring Riding, warm weather bike ride on May 5, 2017 by Russ Lowthian.